When building a new home or tackling a remodel, one room has the power to set the tone for the entire house - the kitchen. “Kitchens should be designed around what's truly important - fun, food, and life,” says renown chef Daniel Boulud. One way to ensure a kitchen cultivates fun and life is by choosing the right cabinet finishes. Color is one of the most effective ways to build character and personality. 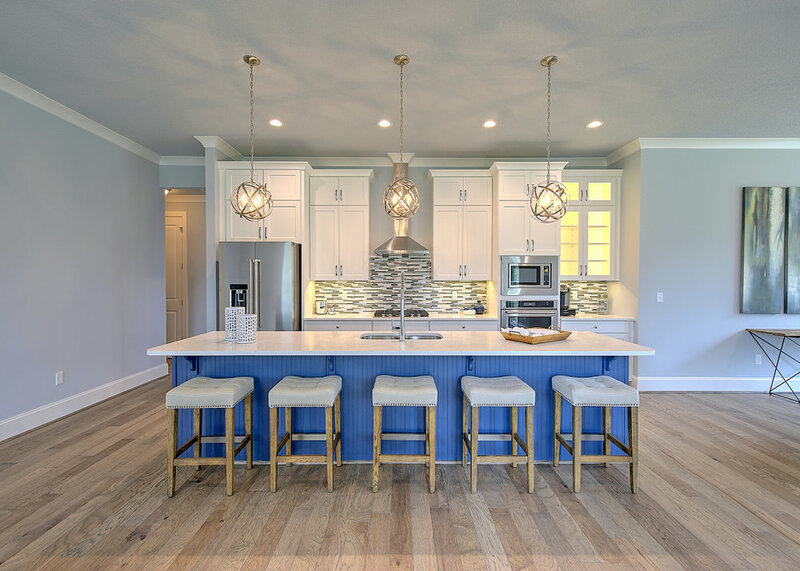 Although classic white kitchens will remain popular in 2019, “kitchens with jewel toned cabinets will dominate” according to the Color Concierge. Indigo in particular is a great choice for those wanting to incorporate colored cabinets into the design. Indigo works well in classic kitchen, providing a rich depth that anchors the room, or it can also help create that one distinguishing feature in a more contemporary kitchen. Have fun and be creative when designing your kitchen. You may opt to do all cabinets one color, or you may consider a two-toned option (different colors for the upper and lower cabinets). Another good option is to make your island a statement piece, as done in this kitchen of the BALTIC model. Popular author and home cook entrepreneur Michael Ruhlman has said “a kitchen is a good place to be, almost always the best place in the house.” Stop in a Rosewood model home or make a Design Center appointment to get your creative juices flowing and make the kitchen the best place in your new home!